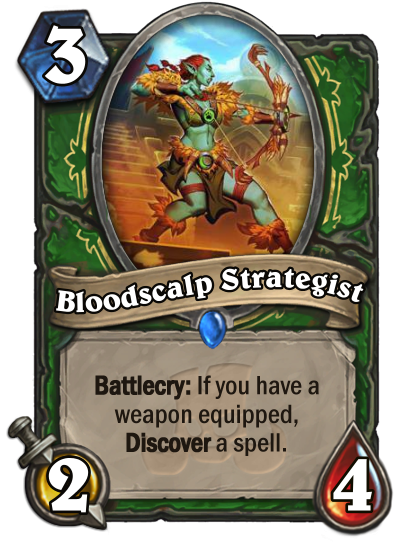 The latest card reveals include Emberscale Drake (Rare Warrior Minion) and Bloodscalp Strategist (Rare Hunter Minion). Check out our Rastakhan's Rumble Expansion Guide for more details! Battlecry: If you have a weapon equipped, Discover a spell. 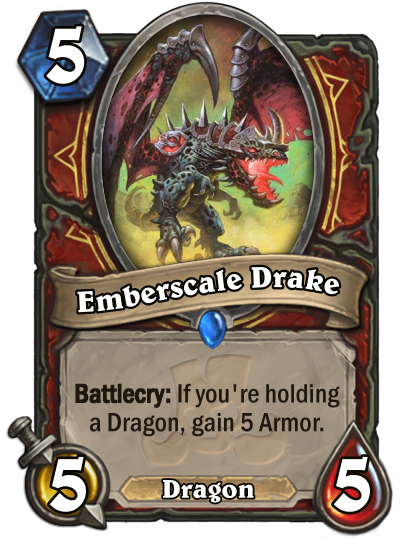 Shield maiden saw play, why not Emberscale Drake? I like it. They are clearly pushing a big dragon warrior, now we are waiting for more big dragons to play. I'd love to try it.